HAPPY FIRST DAY OF SPRING, FRIENDS!!! Yay!!! It really boggles my mind how easily and quickly time zooms by in between each of my Monday Musings posts... Sorry guys. Yeeshka. Buttttttttt.....it's Spring day one. So....that kinda trumps everything else! >> Me getting sick, and thinking I might not pull through. Yeah, I'm a wimp, but that trash felt like the flu and I was OUT for 3 days. Helllloooo Netflix. >> A ton of meetings with lovely new couples, more weddings booked for this year, and next! 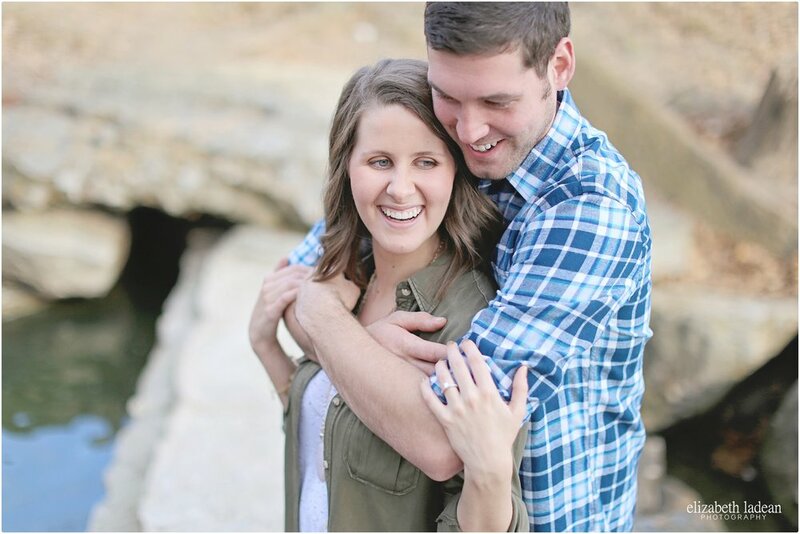 A handful of engagement sessions, my favorite!! And several coffee dates and dinners with vendor friends, and personal friends, yay!! >> Just this past week I spent one whole day doing fun stuff, just for me, or as I like to call it - for my health. With the rest of the 2017 wedding season starting soon (see next bullet point!) I knew I should probably take at least one full + entire day of no work, no email, no photos, just fun times. I drove about 45 mins east to the town of Blue Springs, MO and hit up one of my favorite antique stores ever.... The Brass Armadillo! I really don't understand their name. But all you really need to know is it's a MASSIVE store that takes several hours to get through, and it's full of treasures!! I walked away......3 hours later.....with 4 new milk glass vases (YAAASSS! ), 2 vintage plates ('cause I'm totally creating a wall of vintage plates behind our dinner table), 1 cute ball of yarn ('cause WHY NOT), and a table top pencil tree ('cause Xmas decor in March just make sense, duh). >> Now that March is practically over, and my "off season" or, "gap" in between the 2017 season is coming to a close, I'm gearing up for weddings to kick into high gear starting THIS Saturday, whoohoo!! This is going to be my busiest year yet, and I am R-E-A-D-Y! >> I had this gigantic list of to-do's I wanted to tackle between January and now, and thank goodness I've been able to cross off the majority of them! I wish I could say ALL got crossed off...but what is left are the ones that I knew full well wouldn't be items I could just sit down and complete in a days time. What's left are the big projects, the massive undertakings, the grand-canyon-size plans, the.....okay you get the picture. >> ONE of those massive undertakings though.....was to update ELP's website. Sometimes I really don't know why I decide to do such things myself, instead of outsourcing. Maybe one day I'll learn I'm really not meant to do ALL the things. I'm a Squarespace user, and the geniuses behind Squarespace built it all in a way that makes it super user-friendly, and fairly easy. But nonetheless, It's been a long process, sometimes frustrating.... HOWEVER....I'm thissssssssssssssss close to being finished, and I really can't wait to show you guys!! >> If you follow me on Instagram (which you totally should!) then you know that a couple of weeks ago I shared this post - about the kindness of strangers. The story there is that I had spent so long planning out this website design, only to realize what I wanted was ultimately only achievable with custom coding. Talk about disappointment! I know NOTHING about code! But, just like that post says, a super awesome and kind stranger saw my cry for help in a private Facebook group for Squarespace users - and within MINUTES he had typed out not one but two custom codes for me to use. I kinda love this stranger guy. >> Remember earlier when I said I had had a handful of engagement shoots and such since the last Monday Musings installment!? Let's share some faves from those!! Look at the cutie patooties!! This is Kenzie + Nick, and they are tying the knot in September!! And then you have Julie and Nate....a couple who I hadn't met in person until this very day! They booked me when they were living in Ohio, so their engagement session was also those first initial hellos and hugs. PS: I LOVE THEM. Their wedding day is set for June!!! Then there was Amber and Matt........and Amber has the most incredible serious face. Just look at her!! Oh and that dress!? Swoon. A little over a month from now, and these two will be saying I DO! These two are going to have an epic wedding coming up in May! AHHH!! I LOVE ENGAGEMENT SESSIONS!!!! Oookay, I'm back now. Honestly, I think that about wraps up this Monday Musings edition, friends! Stay on the lookout for those website updates - I promise they are coming to you soon! Monday Musings, edition twelve | July, July, July!! Monday Musings, edition eleven | the entire month of May...whaaat!